Kathleen F. Rush has over 30 years experience as a local government management professional including Woodridge and Riverside, Illinois. She is known for her extensive professional network. From 2009 until 2017, Ms. Rush served as the Village Administrator in Woodridge, a progressive, vibrant, diverse community in south central DuPage County. During her tenure in Woodridge, Ms. Rush was responsible for an approximate $44.5 million budget and 126 full-time employees. During her tenure in Woodridge intergovernmental cooperation and regional service arrangements were initiated. Technology improvements, including a new phone system and a new Enterprise Resource System solution was initiated and implemented. The use of social media as a key tool for community engagement advanced. There was an improved commitment to infrastructure including the streets and water system. She participated extensively at a leadership level in regional and County-wide agencies ensuring the implications of decisions were considered during decision making. Ms. Rush served as the Village Manager In Riverside, Illinois (a national historic landmark) from 1998 to 2009. Riverside is a unique, small town with a high demand for resident service and attention to historic preservation. Designed by Frederick Law Olmsted, designer of Central Park, NY, the Village of Riverside presented a unique set of challenges and projects. The community is known for its significant amount of open space, distinctive zoning and curvilinear streets. The community retains its historic character that essentially has been unchanged since 1879. The community is part of the National Park Service inventory of designated landmarks. During her tenure, financial challenges provided a great deal of experience. Capital project financing, operational reductions and increased service demands were a focus. Significant water, street, sewer, forestry projects were completed. Significant grant funding assisted in the financial undertakings. The Village of Riverside provided parks/recreation and fire services in addition to the primary Village operations. Prior to serving in the Manager’s role in Riverside, Ms. Rush did serve as the Assistant Village Administrator in Woodridge where she was responsible for human resources, information technology, purchasing, agenda management, community relations, special events and Village Board support. She served as the acting Director of Public Works and served as the project manager during the construction of a new Village Hall. Ms. Rush holds a Bachelor of Science degree in Political Science and a graduate degree in Public Administration from Northern Illinois University. She has served in various leadership roles in professional and civic associations including serving as President of the Illinois City/County Manager’s Association, President of the Illinois Municipal Management Assistants Association, and Chairperson of the Intergovernmental Risk Management Agency. Ms. Rush presently serves as a member on the Board of Directors for the DuPage Federation on Human Services Reform. 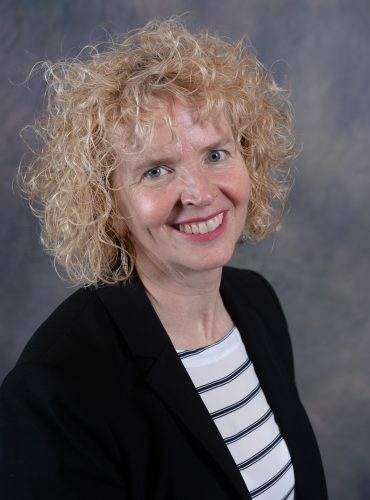 She has recently completed a term on the Board of Advisor’s for the Northern Illinois University division of Public Administration and was on the Board of the DuPage Credit Union. She was selected as the ASPA Administrator of the Year in 2014 and was selected to receive the ILCMA Lifetime Achievement Award named for Bob Morris in 2017.